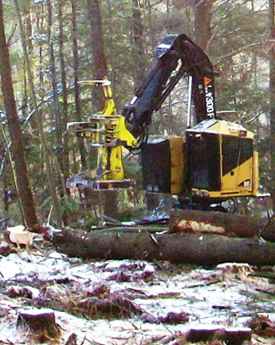 Galusha & Sons land clearing division is very knowledgeable and operates with the industry’s best mechanized equipment. These assets provide us with the ability to function efficiently, regardless of the size of your parcel. We will work within your woodlands management plan or provide the landowner with the necessary direction to create a plan that is suitable. We can then apply our services so you can maximize your revenue not just for today but for the future. We have over 40 years experience and we utilize the latest equipment to ensure the highest quality workmanship and efficiency. Our staff is highly skilled and certified by multiple organizations. With today’s stringent environmental standards, erosion and sediment controls are the number one priority. We have a Certified Professional in Erosion and Sediment Controls (CPESC) which is a national accreditation recognized by NYSDEC. This allows us to implement the correct “Best Management Practices” (BMP’s). We take a proactive approach to stabilize potential problems before they occur, this way your wetlands and other sensitive areas stay safe.